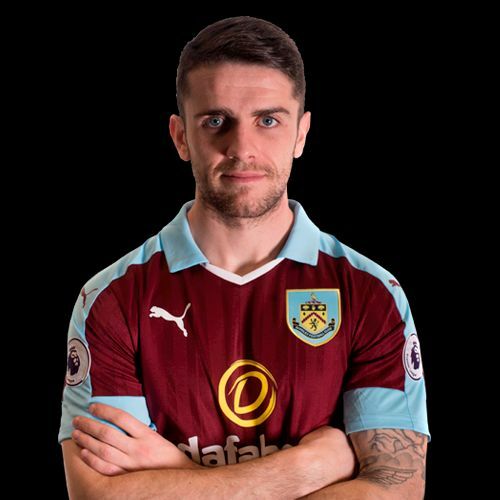 December looks to have started very badly for Robbie Brady with the potential serious injury sustained at Leicester, and this after November had been his best yet for Burnley with the stand out performance coming at Bournemouth. He was the big winner at Dean Court last Wednesday after his best game yet for the Clarets which included his first league goal of the season, and that performance earned him 52% of the man of the match vote. Chris Wood returned to the side and gave us the lead in the first half and he took 17% to claim second place whilst on the opposite side of the pitch Jόhann Berg Guðmundsson was third with 7%. Jack Cork and Ben Mee jointly won fourth place; both had a 6% share of the vote. The player ratings were high with eight players scoring eight out of ten or more and four of the five players in that top group in the vote were in the top four in the ratings with the same top two. Brady won it with a rating of 8.91 out of 10, followed by Wood who scored 8.52. Mee was third with a rating of 8.48 and in fourth place was Cork who scored a rating of 8.30 out of 10. There was the maximum ten points for Brady towards the Up the Clarets Player of the Year. Wood won six points, Mee picked up three points with Cork and Guðmundsson getting to points each. Guðmundsson had led in November before this game but he had to settle for second place for November, beaten by Brady who followed Cork & Steven Defour (August) and James Tarkowski (September and October) as the monthly winner. Cork and Tarkowski are now joint leaders in the player of the year table, both with 60 points, and that’s a 15 point lead over Defour who is in third place. Nick Pope and Mee come next with Brady’s points having now taken him into sixth place. Voting for the Leicester game will continue until the end of tomorrow. Click HERE to select your man of the match and HERE to post your player ratings. The Bournemouth result is below with the November Player of the Month result and the current Player of the Year Table.